Officers are Commissioned by the Minister of Defense into the NZCF. Also known as Senior Non-Commissioned Officers or SNCOs. 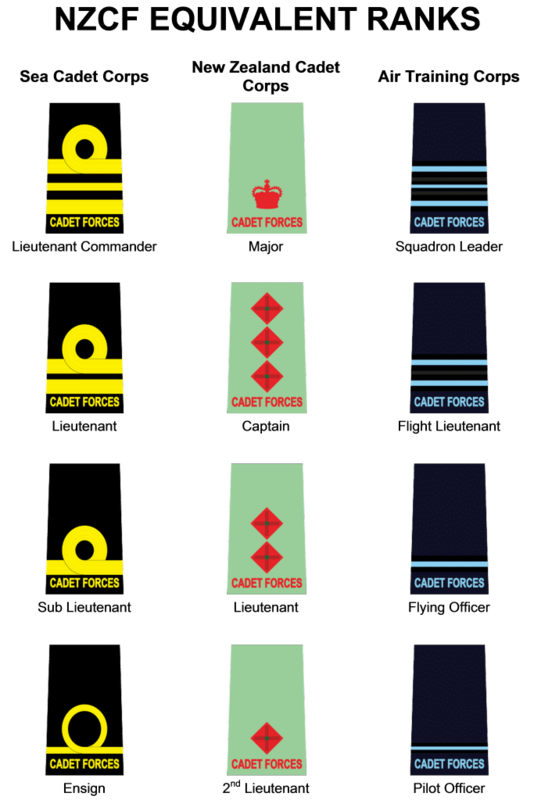 NOTE: The Under Officer rank is not a senior rate, nor a commissioned officer. Also known as Junior Non-Commissioned Officers, JNCOs, or hands.